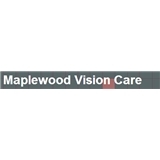 Maplewood Vision Care (Maplewood) - Book Appointment Online! Very glad I visited Dr Dennis the first time after my Lasik. I had lot of dry eyes for almost 2-3 months. Couldn't work for more than an hour before the laptop or go out due to extreme dryness. After visiting Dr Dennis, he suggested me with eye drops to use for a couple of weeks which helped my eyes to get back to normal state. Very thankful to him. I visit him every 6-8 months for a general checkup. Highly recommend him.